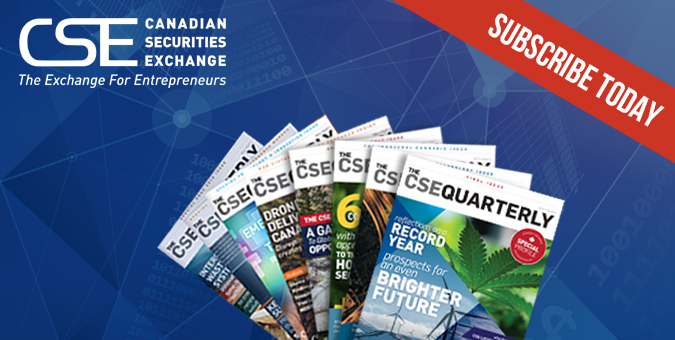 The CSE Quarterly, the official magazine of the Exchange for Entrepreneurs, is no longer being published. The CSE Quarterly was an opportunity to present several features of companies listed on the CSE that showcased the entrepreneurial spirit at work. We truly believe that it is the entrepreneurs on the CSE that make the exchange what IT is (and not the other way around). Stay tuned – coming in the spring of 2018 there will be a new project that will carry the torch lit by the CSE Quarterly. Sign up below to be included when more information on the next chapter begins. Subscribe to the mailing list today!